It’s Fall, y’all! Here in the South, and likely where you are too, that means plenty of friends, football and food. Last weekend was the first home game of the season for our college team, so we packed up some grub and hauled it to our usual spot outside the stadium for some pregame fun. Where we live, the number of vegetarians is surprisingly on the rise, but vegans are still few. So, when we go to potluck-style parties, I over cook. Partly to share all the wonderful cruelty-free things there are to eat besides a vegetable tray, but also partly for self-preservation. I love food. And I want to chow down with the rest of the fans! I usually try to pick tailgate items that work with whatever our tailgate host and hostess are planning. Last weekend, that meant mac & cheese, cornbread casserole and cookies. Check out the recipes for those items, along with a few others that have received rave reviews from both my vegan and non-vegan friends. The great part about this recipe is that there’s nothing “weird” in it. “What’s in it?” “Does it have tofu?” “Is there ‘fake’ meat or cheese?” Those are always the questions I get from non-veg friends. The answer here is, “No!” All ingredients are ordinary until you put them together into a dish of cheesy goodness. Directions: Bring about three cups of water to a boil. Peel and cut yellow potatoes and add them to the boiling water. Allow potatoes to boil for about two minutes, then peel and cut the carrot and add to the boiling water. Allow to cook for about another two minutes, then add in ¼ of an onion. Boil everything another 8 minutes, or until veggies are soft. While veggies are boiling, begin cooking pasta. To make the cheese sauce from the veggie boil: In a blender or food processor, combine ½ cup of raw cashews (if you can find cashew pieces they are less expensive), onion powder, garlic powder, salt, nutritional yeast, drained veggies and about 1 ½ cups of the leftover water from the veggie boil. Blend until smooth, adding more liquid if needed. Our Ninja gave me the best results. When I blended the mix in our food processor, the cashew/veggie cheese wasn’t as smooth. The Ninja blend was so creamy! When the pasta is ready, drain it and pour the golden cheesy goodness you blended together over the top of the pasta and stir. Voila! Cheese perfection! This is a big deal dish in our area. People go crazy for a good cornbread casserole, so keep this in mind to pair with a variety of tailgate menus, including chili tailgates as the temperature drops. A little chili over this dish would be divine! This is a recipe I adapted from a non-vegan one my friend, Jenny, used on Labor Day. My husband loved hers, so I thought, “Challenge accepted!” I can make that, too. Directions: Mix everything together, place in a casserole dish and cook at 350 degrees for about 50 minutes, or until the center isn’t jiggly, anymore. That’s it! Easy peasy. Consider adding jalapenos for a little punch! I leave them out when I know kids are coming to the party. I adapted this from a popular non-vegan recipe I saw online when I was looking for ways to use boxed cake mix. I love this recipe because it gives you limitless choices for cookies. Last weekend, I used a red velvet mix because our main college color is cardinal. It’s easy, only four ingredients, and yum-tastic! Directions: Combine all ingredients and mix until dough forms. Roll balls about 1 inch big and place on a cookie sheet. Bake at 375 degrees for 7-9 minutes. When I was adapting this recipe to be vegan, I found that simply using the cornstarch/warm water as an egg replacer left the mix too dry. Adding in the applesauce was the perfect solution. While the recipes listed above don’t contain anything my non-vegan friends would label as “weird,” this one does. However, it’s too good for anybody to care. 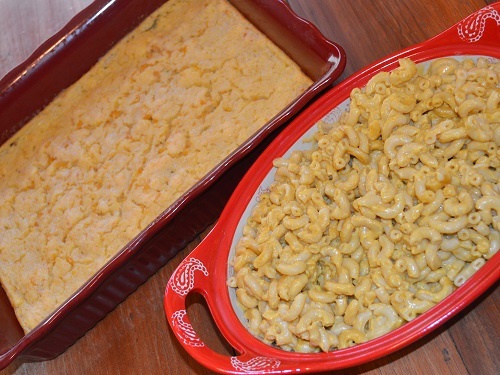 I veganized this recipe from one my mom and aunt used to make for family gatherings. I first made it for a Super Bowl party and, at my husband’s suggestion, didn’t tell anyone it was vegan until it was gone. The guys stood around this dip eating it and asking me to give the recipe to their wives. I had just moved back to Alabama and was new to the group. So, they had no idea! Mission accomplished showing vegan food tastes just as great, without the cruelty. Optional: Vegan bread of choice for bread bowl. Directions: Break apart sausage and cook over medium high heat until evenly browned. Add in onions and cook about 2 minutes, until the onions are slightly tender. Mix in tomatoes and chilies and simmer for about 15 minutes. Stir in the sour cream and cream cheese and season with red pepper. A bread bowl makes a wonderful presentation for this dip, but it certainly isn’t necessary. The dip will be gone in no time, either way! Doesn’t get much easier than this. Serve these up with different dipping sauces or chili! Directions: Slice veggie dogs in half and wrap in crescent roll dough. Bake according to instructions on the roll package. These are easy, cruelty-free treats perfect for both little football fan fingers and for adults. And they make a really pretty presentation. Directions: Mix cream cheese and sugar until well blended. Add in vanilla and cornstarch/water mix until blended. Add in about 4 crushed Oreos (optional). Line a 12-serving muffin tin with cupcake liners. Place one Oreo in the bottom of each and distribute batter evenly over the 12 servings. Bake at 450 for 20 minutes; then, cool in the refrigerator for 3 hours. You can drizzle chocolate over the top, or place a dollop of coconut whipped cream on the mini cheesecakes for decoration and a new layer of taste. Robbyn is a journalism and communication lecturer at Troy University after a journalism career spanning more than a decade. She has been vegetarian since 1997, vegan since 2009, and a sci-fi/superhero nerd her whole life. 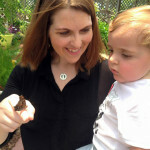 Robbyn lives with her husband, toddler son, and a pair of rescued cats and dogs in Alabama.